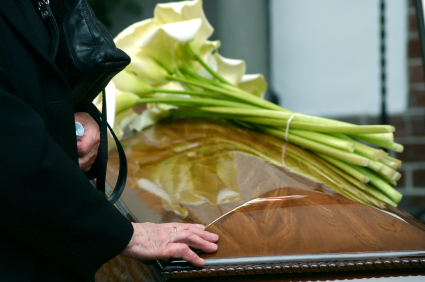 Most funerals have to be planned within a time frame of 3 to 7 days. Due to health regulations and the costs associated with storing the body over an extended amount of time, there tends to be a fairly small window of opportunity when it comes to making funeral plans and bringing together large amounts of family and friends for a memorial service. When you think about planning a wedding (which also brings together a large number of family members and friends from around the world), the time frame is usually months, if not years, of planning and preparation ahead of time. Although much less grandiose in their makeup, funerals also tap into many of the same ceremonies, including finding a location, religious official, flowers, food, and hotels to accommodate up to hundreds of guests. Planning for all this in less than a week can be incredibly difficult, especially if you’re also dealing with the emotional pain of loss. The best way to plan a funeral on a tight timeline is to find a funeral home and funeral director you trust. Funeral directors are used to helping others make burial and memorial service decisions, and they have all the resources and information you need to make things go as smooth as possible. Don’t sign up with the first funeral home you meet with in an attempt to save time. Take a few hours to research your options and find someone you feel will help you get everything accomplished with a minimal hassle. Nine times out of ten, you can save money on funeral costs by not choosing the burial packages offered by funeral homes. If you’re willing to shop around for a casket, funeral flowers, and other features, you can save hundreds (if not thousands) of dollars. Remember, though, that these packages exist for a reason—relieving you of the pressure of making hundreds of small decisions and arrangements. If you don’t want to spend a lot of time planning the funeral, it can be a good idea to opt for an all-inclusive package. There are countless resources available to help you plan a funeral, including checklists and articles. These allow you to go step by step through the funeral planning process, making sure that you don’t forget any of the details. They can also help you answer important questions like burial versus cremation or formal memorial service versus a casual gathering of friends and family. This is not the time to shoulder the entire burden of loss by yourself. Funerals have a way of bringing people together, and you’ll find that family members and friends are more than willing to provide what assistance they can. In fact, allowing others to help you plan the funeral is often an act of kindness, since providing them with a task (maybe selecting the funeral flowers or planning the food for the wake) will help them move through their own grieving process.